This beautifully illustrated children's picture book tells the charming story of beloved Phoebe mouse, who becomes a big sister for the very first time. What is mother knitting while she waits for her new baby to arrive? A beautiful new sweater for Phoebe to wear! The book includes a lovely set of photographs and knitting patterns from the illustrated story, including Phoebe's sweater, a mouse doll in a sweet handknit dress, and a doll-sized sweater to match Phoebe's. This book is an heirloom gift for any child, especially one who is special in the life of a knitter. Joanna Johnson lives in Loveland, Colorado, with her illustrator husband and their three children, who provide constant inspiration for her stories. After earning a B.A. in Literature and working for a short time at an academic publishing house, she has enjoyed rediscovering a childhood interest in writing and knitting. She is (at least) a fifth generation knitter, and has had a wonderful time breathing life into the beautiful illustrations from this book through her knitting pattern designs. 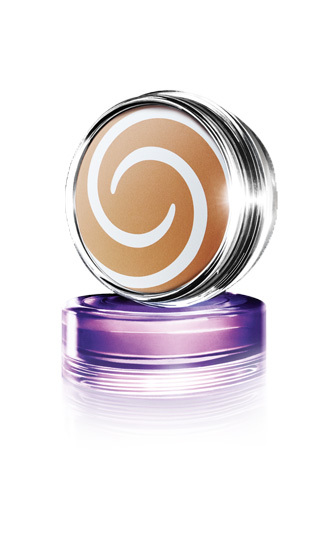 The wonderful folks at Covergirl & Olay have teamed up to create the Simply Ageless Collection. I was lucky enough to get a sample of this collection from BzzAgent and wanted to share my results with you. Now I will admit, I'm not a big fan of having my picture taken, or worse yet, taking it myself. So after about 100 images I managed to find three I'm not too embarrassed to share with you. In the first photo you see me in my Sunday morning state. I have dark circles under my eyes, I have blotchy red patches, I have dry, dry, dry spots. In short, I am a mess! Next photo shows an improved me, just four minutes later. I used a bit of the corrector under my eyes, the concealer on the red patchy places and then the foundation over the whole shebang. I very sparingly used the blush. In truth I usually never use blush, my Welsh heritage insures that I have my own built in blush at a moments notice, but since it came with the collection I have been using just a touch of it. It's a nice change to have blush under my cheekbones instead of just in my apples. Final photo shows me another three minutes later with a bit of mascara, eyeliner and my never can live without it lipstick on my lips and voila! I look like me again! So in under eight minutes I can go from frazzled mom to slightly less frazzled but at least pretty mom. Hooray!!! I've been using the Simply Ageless collection for about two weeks so far and I'm very happy with the amount of coverage and the length of wear. Even with these horribly humid days we've been having the makeup has held up beautifully. AND to make the deal even sweeter I've been given a batch of coupons to share! Each coupon is for $2.00 off any product. If you are interested just hit the comments and I'll pop some in the mail for you. Enjoy!